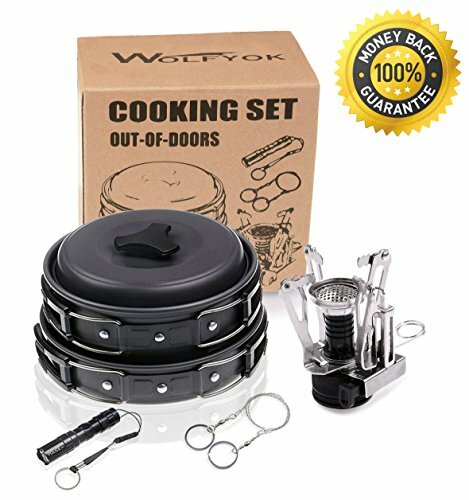 At a little over a pound, this uber-efficient, high performance, lightweight, and ultra-compact cooking solution is perfect for two backpacking adventurists. The nesting cook set includes a 1.4-liter pot with locking take care of, a nylon strainer lid, two 14 fl. oz. bowls, two 14 fl. oz. insulated mugs, 2 sip through lids, 2 telescoping foons, and a welded sink-stuff sack. The pot and lid combo are ideal for stovetop cooking, but for your safety we recommend not the use of directly over a campfire. Everything you and your climbing buddy need- without the weight penalty. FEAST IN THE FOREST: When traveling with your best bud, the Halulite Microdualist is the easiest third wheel. The pot and lid combo are ideal for stovetop cooking. For your safety, we recommend not the use of directly over a campfire. The ultralight design has everything you wish to have for hot meals and warm drinks! DRINK IT UP: The unique bowl and mug solution means less things to pack! They feature a sip through lid that almost eliminates spills. SAVE ON FUEL: The handy pot and lid is made from Halulite, a proprietary alloy that conducts heat better and more evenly than titanium, so you will not want to bring extra fuel. IT’S ALL ABOUT THE OUTDOORS: In 1985 three siblings combined their love for the outdoors and set out to create GSI Outdoors. Now, three decades later GSI continues to bring quality cookware to out of doors lovers all over.